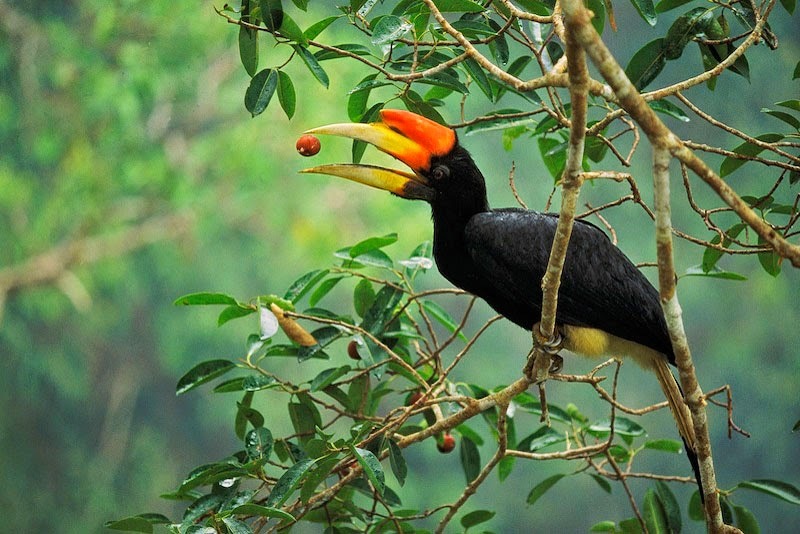 Borneo is home to many bird species and the hornbill is one of its most spectacular. There are eight species of hornbills in Sabah, five of which are listed as endangered. They are easily identified from other birds by the protrusion on top of their bill called a casque. For most species, the casque is a hollow structure made out of keratin and is believed to act as a vibrating chamber to produce the loud and unique sounds they make when in flight or when foraging for food. However, the casque of the Helmeted hornbill is different: it is very dense and ivory-like which makes it a favorite target for souvenir hunters to create ornamental carvings. 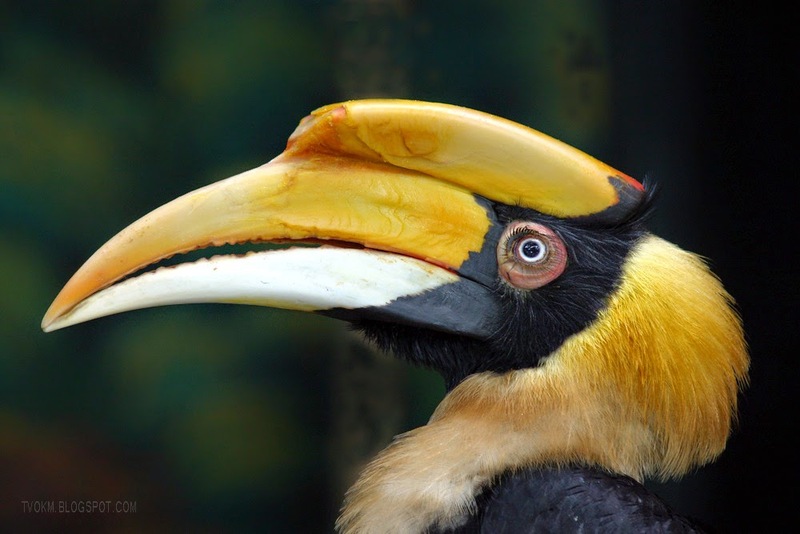 Hornbills feed on a variety of food such as fruits, insects and other small animals. They usually travel in pairs or large flocks. Each species has a unique flap beat and because they are so large, the sound of their flapping wings can be heard from a distance. They also make a distinctive whoosh sound when taking flight or landing on a branch in the rainforest. Hornbills have an extreme method of rearing their young. They would first locate a suitable hollow high up in a tree for a suitable hollow high up in a tree for a nest and after laying her eggs, the female would seal herself in this cavity with regurgitated food, drippings and mud brought by the male. There will only be a small opening in the cavity where the male will bring food to feed the female. Once the eggs have hatched and the young chicks are ready to fledge, the female will break the seal. Because of the long captivity, the females would not be able to fly until a few weeks later.